Dogan Top is situated about 10kms from Gool on Gool-Mahore road. It is situated at an altitude of nearly 2000 metres above thesea level and offers a panoramic view of the Gool town. 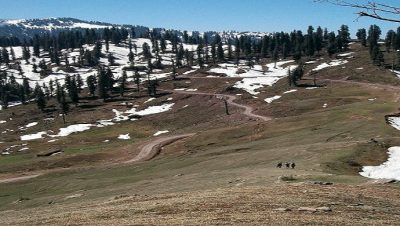 The area has lush green meadows and offers excellent opportunity for winter games like skiing and snow sledges. The paragliding can also be done here. A helipad is located at the top.In summer months cool breeze is swirling around. Dogan Top is situated about 10kms from Gool on Gool-Mahore road and is approx. 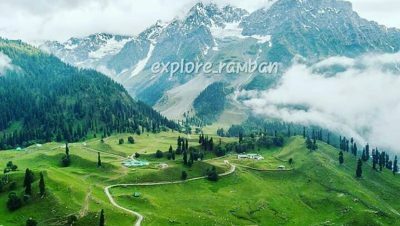 50 KMS from Ramban Town.